1. Non-lubrication and beautiful appearance. 2. Special housing and bushing enables self lubrication of piston rod. 3. High quality-long service life. 4. Hard anodised aluminium cylinder tubes offer high resistance to corrosion and low internalfriction. 5. Available with comprehensive internationally recognised range of fixed and flexible mountings. 6. 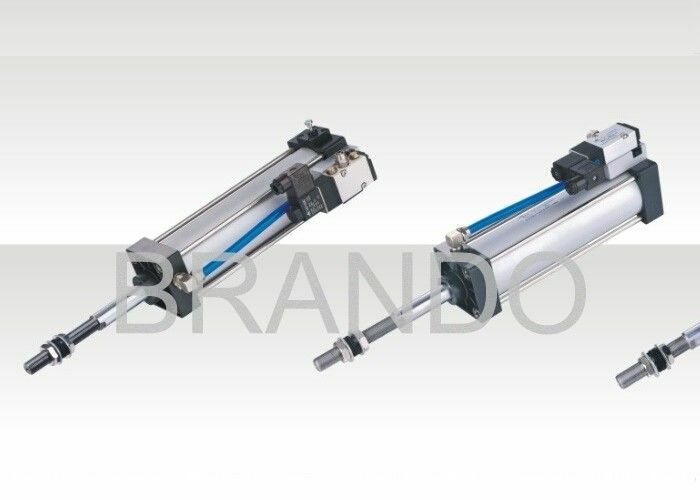 Double piston rod provide high degree resistance of bending and torsion. 7. Double cylinder bodies make the output force double as normal cylinders.